Someone asked me the other day what, given the unreliable water supply, would be the ideal boat for use on the Royal Canal. I replied that it should be one with four-wheel drive. Maybe one of these. Aidan Herdman has left a comment on my page about the Broadstone Line of the Grand Canal and has included in it a link to a photograph of Phibsborough cubs/scouts standing at the Royal Canal dry dock. I can’t recall ever seeing such a photo before. It’s an impressive structure and I’m grateful to Aidan for the link. The assistance given to canals belonging to companies in Ireland in the last and commencement of the present century was chiefly in the form of loans of public money or by grants from special or general taxes; but we have been unable to obtain from the records of inland navigation in Ireland a complete account of the public loans which were made for such purpose. How true those words are even today. 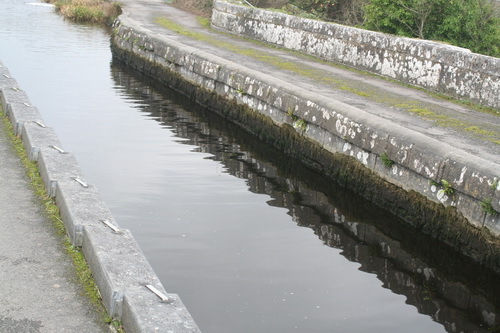 I would be grateful if anyone could tell me the full cost of the restoration of the Royal Canal and the Ballinamore & Ballyconnell Canal, now the Shannon–Erne Waterway. The second half-yearly meeting of the Grand Canal Company in 1844 seems to have been an extended affair. It was adjourned to allow the directors to amend their report on “the state of the company’s works” and, when it reassembled on Saturday 23 November, there was an unusually large attendance and a fractious debate, with several criticisms of the accounts and their “ambiguity and unintelligible nature”. The inconclusive meeting was eventually adjourned until 14 December, to allow proprietors [shareholders] to examine the accounts. He had taken the trouble of comparing the Grand Canal with the Royal Canal Company for two consecutive years, and he would give the meeting the result of that comparison. Here are the elements of that comparison in tabular format. Those with a keen interest in the Royal Canal Company will no doubt have been surprised to find its management being complimented for anything, but the comparison is interesting even if, as Sir John Kingston James pointed out, the Royal Canal Company had fewer [passenger-carrying] boats “and consequently they had to pay less for horse power”: it would have been fairer to compare the costs per mile. 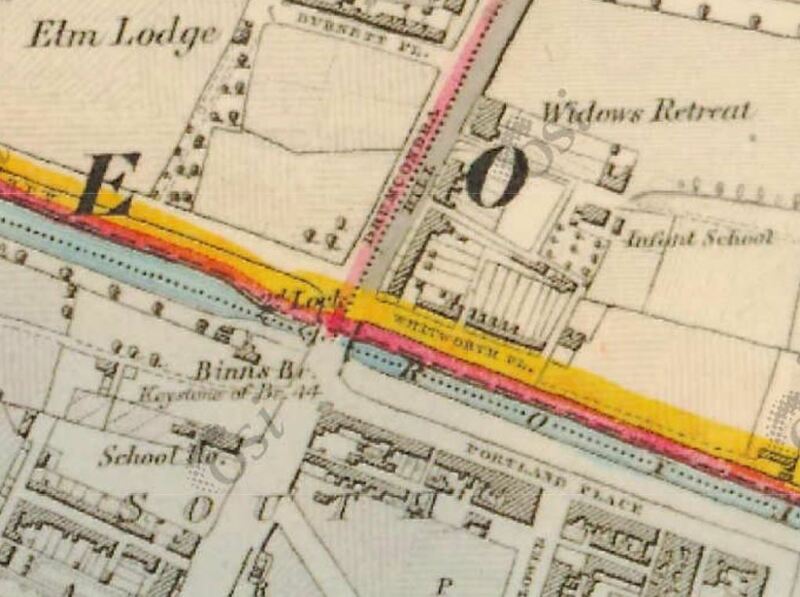 Every one knew that the Royal Canal was a much more perishable canal than the Grand Canal, for instead of being excavated, a great part of it was built. 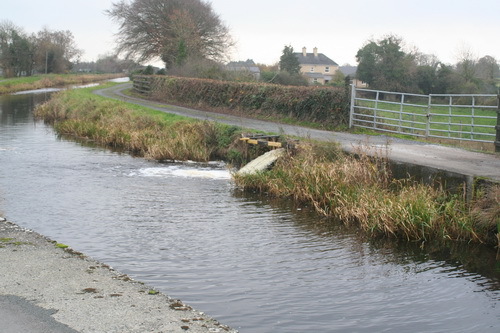 No canal was more liable to the danger of an outbreak on the country, and of being bored through, than the Royal Canal, consequently it required more money to keep it in repair than the Grand Canal […]. Yet, what was the amount charged for repairing the Royal Canal in 1844, though in that year a serious breach took place in it? — why, only £1869. 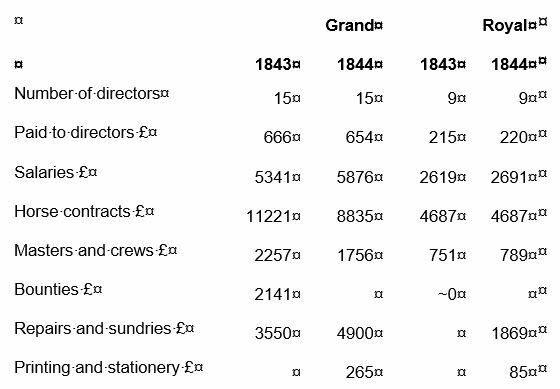 Note that salaries cost considerably more than did the boat crews and that horse contracts, for hauling the boats, were about four times the cost of masters and crew on the Grand and aboout six times that cost on the Royal. I beg to acknowledge the receipt of your letter of the 13th instant, desiring some information as to the modes of sending letters otherwise than by post. Every species of contrivance that ingenuity can devise is resorted to for the purpose of evading the payment of postage; and though I cannot state decidedly the extent to which it is carried, but judging from the cases wherein the practice has been detected, I can have no hesitation in believing that it exceeds any idea persons in general may have formed of it. Every coachman, carman, boatman, or other person whose business leads him to travel regularly between fixed places, is a carrier of letters; of this we have daily proof from the number of letters put into this office to be delivered by the penny-post, which have evidently been brought to Dublin by private hands, and which the officers of the sorting-office have estimated at about 400 per day. Previous to the consolidation of the Post-office laws in August last, an Act, 53 Geo 3 c58, was in force in Ireland, which empowered the Postmaster-general to issue a warrant, upon sworn information, to search for letters illegally conveyed; and in May last a warrant of that description was issued against Patrick Gill, a carrier who travelled regularly between Granard and Dublin, and on his person were found 57 letters directed to persons in Dublin, which he had collected on the road; this Act was however repealed, and the clause which gave that power to the Postmaster-general was omitted in the Consolidation Acts: the Post-office has not now, therefore, that means of checking the illegal conveyance of letters. The fly-boats on the Royal and the Grand Canals, I am informed, carry great number of letters; the former extends to a distance of 90 miles from Dublin, and the latter to 94 miles, and through the entire distance of each of these lines letters are constantly collected for conveyance to Dublin. The illegal transmission of letters to and from Great Britain has very much increased since the introduction of steam navigation: with the exception of Sunday, private steam-vessels pass daily between Dublin and Liverpool, and in the offices of the agents of such vessels a tin box is kept for the reception, they say, of consignees’ letters; but it is well known that vast numbers of letters of all descriptions are put into them, and the commanders not being compelled by the Custom-house to make the declaration required from masters of vessels from foreign ports, that all have been delivered at the Post-office, do not hesitate to convey them; but I have not any means of giving you a correct idea of the number of letters thus illegally conveyed. The evasion of postage by means of newspapers, which is similarly injurious to the revenue with the illegal conveyance of letters, is also carried on to a great extent; it is the duty of the Post-office to examine newspapers to see that they are duly stamped and do not contain any writing or enclosure, and it is the practice to do so, as far as the vast number of them and the shortness of time will admit, without delaying the dispatch of the mails. I enclose an account showing the amount of postage charged in Dublin during each month from the 6th July 1836 to 5th January 1838 on newspapers containing writing or enclosures, amounting to a total of £2828 15s; and in the country offices the amount charged on newspapers in the year 1836, was £2122 9s 11d, and in 1837 it amounted to £3196 16s 11d. The practice is therefore increasing, and this I am inclined to believe scarcely amounts to one quarter of the postage on what are liable to charge, if it were possible that all newspapers could undergo a proper examination. I fear the practice is not absolutely confined to second-hand newspapers, but that the accounts of many news-agents are transmitted to subscribers in the same way; their papers are, however, so numerous, and are put into the office so short a time before the despatch of the mails, it is quite impossible to examine them. Another mode of evading the payment of postage, or rather the writing of letters, is resorted to by factors, who publish printed circulars showing the state of the markets as respects their own particular trade; such circulars they get stamped as newspapers, which entitles them to free transmission by post, and their correspondents are distinguished therein by numbers. I have one now before me with the following communications in one of its columns: “No 17, You have a remittance this post.” “No 20, 84 sacks at 18s are sold.” “No 27, Yours not yet received.” “No 50, Nothing as yet done in yours.” These are taken from Mooney’s Corn and Flour Circular, which is published once a week, and 15s a year is the charge for it. 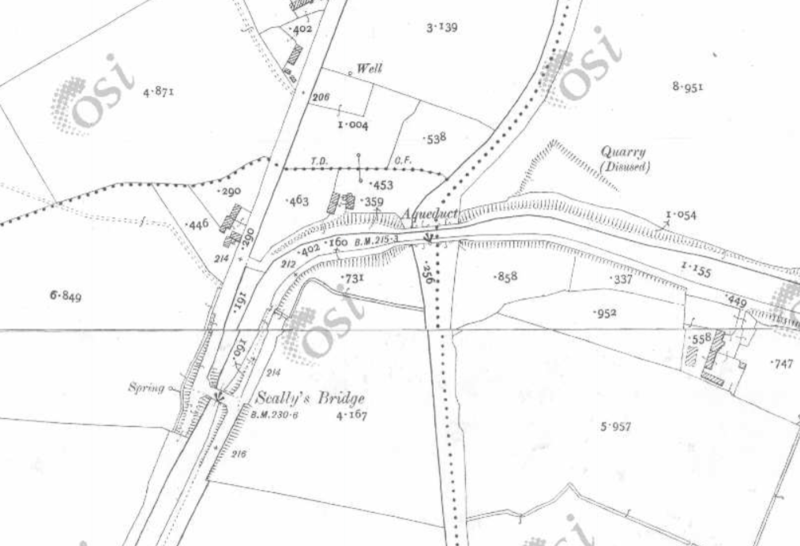 No instance of the illegal conveyance of letters to or from the villages in the neighbourhood of Dublin has ever come to my knowledge; many may be carried by occasional passengers, but I have not had any reason to suppose that an illegal collection of letters is made at any of the villages. The enclosed piece of paper, which shows the pains and trouble taken to evade the payment of postage, was put into my hand this morning by the president of the sorting-office; it was found in the letter-box, and seems to be part of an old letter with a memorandum directing the person it was intended for, to inquire at two very respectable and well-known houses in Dublin, if they could send some letters to Tralee. I have communicated to the solicitor (Mr Thompson) the postscript to your letter; he will search his books and papers and extract any useful information he possesses on the subject; he is summoned as a witness before the Kinsale Election Committee, and is to be in London on the 27th instant; perhaps, therefore, you may prefer examining him before the Committee on Postage, to any statement he may be able to make in writing.